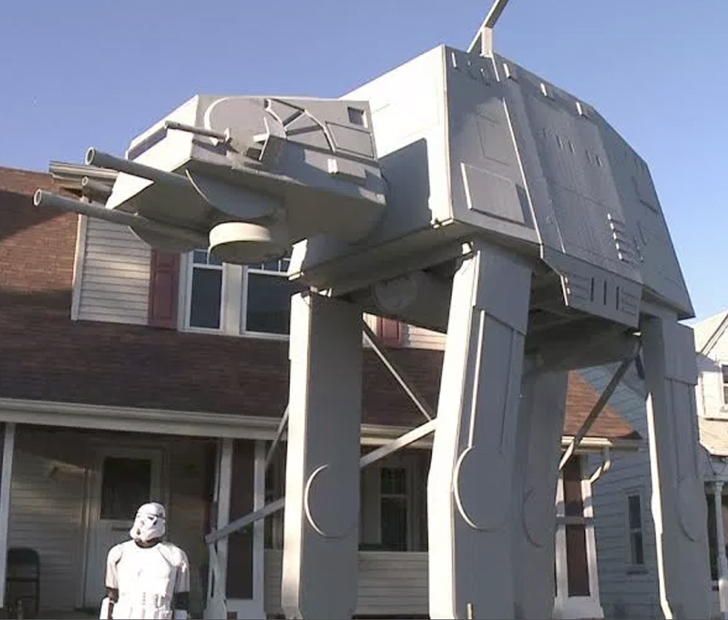 It’s a man’s prerogative to out-do his fellow neighbor each year with yard decor, be it Halloween or Christmas, but this guy decided to go out of this world with his decorating — literally! 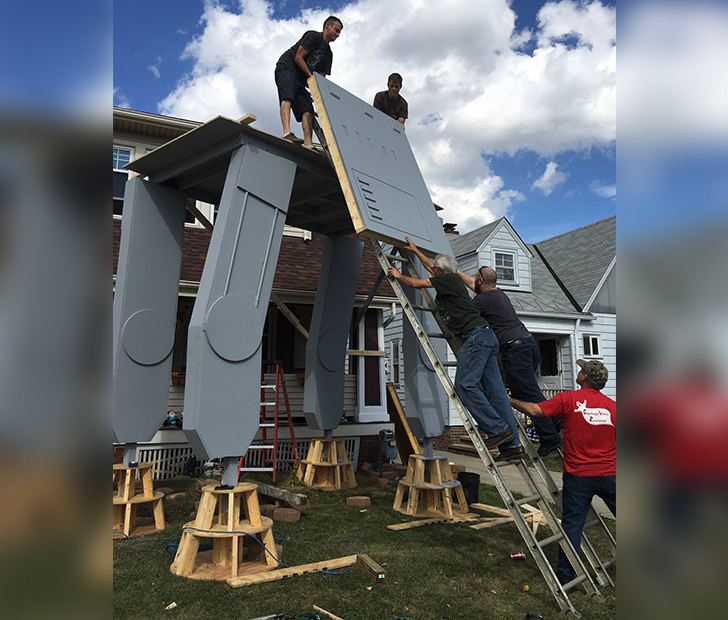 Ohio resident Nick Meyer wanted to go a little beyond the typical spooky decor of most Halloween homes by constructing his very own AT-AT walker straight from the Star Wars galaxy. At 20 feet in height and weighing a whopping 1,000 pounds, the yard piece turned some heads for sure. In fact, it caused some cars full of spectators to show up as well. Meyer and his friends planned and constructed the walker since April, working on it bit by bit. These guys didn’t exactly construct it using styrofoam and glue, either. They built it to last, able to withstand winds of up to 40 mph — “A lot of trial and error,” Meyer admitted. As a father of five, he wanted to make sure that his family’s favorite holiday was as memorable as possible. This is hardly the first unconventional lawn decor that the family has constructed. In past years the home has seen pirate ships and even the Friday the 13th cabin. To help out with the $1,500 construction tab, visitors are able to provide a small donation. We can only wait and see what Meyer plans for his yard next year! SHARE this article with all your friends if you love this Star Wars-themed Halloween decor!